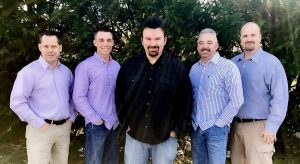 We’re so excited to have Curtis Hyler & Jubilation back at the Stage to host our Worship Services throughout the season. They are some of the nicest gentleman you’ll ever encounter, and they sound great too! As always, anyone is welcome to attend our Sunday morning Worship Services. Those not staying in the park, please park in-front of the Reservation Office and walk in. Services start at 9 AM, and dress is beach-casual.